Have you heard the famous Australian jingle that repeats the same two lines for 20 seconds? Those two lines might not guide your brain in the direction of the melody, particularly if you grew up enjoying a warm English porridge or didn't have access to Australian TV and radio through the mid-'80s, but without the aid of a harmonica, I just can't help you. Google will. For kids of my generation, eating Weet-Bix in the morning was a rite of passage. Like vegemite and cheese in your sandwich and playing backyard kick-to-kick on your own, calling the name of your favourite players from your favourite team. And while kids chose to kick an AFL ball, soccer ball or rugby ball - depending on the team and code they followed - all kids in Australia shared the love of one cricket team. As a Weet-Bix kid, I was an Aussie kid, and that meant living and breathing the results of the Australian cricket team in the summer. "I'm batting first and I'm David Boon," my neighbour would cry. "Cool, I'll be Craig McDermott," I'd say and run inside to apply a full tube of zinc to my nose, which made me look more like the Ultimate Warrior than Craig McDermott. My older brother, though, didn't give me much of a choice. "I'm batting first and I am Australia," he would demand, while standing over me with his fist full of my shirt, lifting me off my feet to slam my entire body against the fence. "Yeah, well, why don't you be Steve Waugh and I'll be Mark?" I would squeal. "Nah, you can be England and I am batting first." The rules: I had to dismiss his entire team before I got a chance to bat. Pretty straightforward, except that at the completion of his first innings, he would quit the game and head inside to watch some D-grade Australian drama like The Flying Doctors or A Country Practice, complaining that he had a sore back from batting for too long. And that was that. The bullying, physical harassment and mental disintegration from my big brother meant that I was denied the rite of passage that kids of my generation experienced. I never got a chance to be Australia, or to bat like an Australian batsman. I was given England and was only ever allowed to bowl. The world really was full of pure evil. Remarkably, there are positives. The first is that my therapist says that I should be ready to go back to that backyard on my own by Easter of next year. I'll take the small wins. 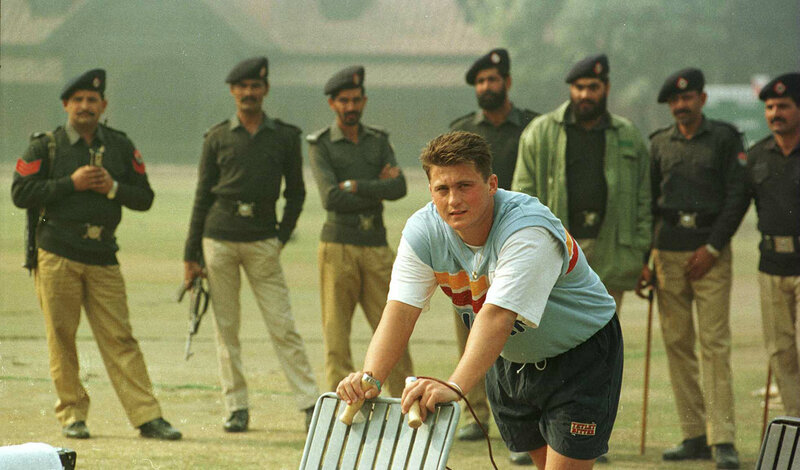 The other is Darren Gough. At the time there weren't many Australian quicks whom I naturally connected to. McDermott was too big compared to me, and too strong. My brother didn't allow me to tape the tennis ball, so that meant swinging it like Terry Alderman or Damien Fleming was not possible. Paul Reiffel was a touch robotic and boring, and Jason Gillespie was tall and skinny. I am not tall - 185cm. And as a kid, I had a rather shapely bum and no one held much hope for me to be much taller than 180cm - the same height as Gough. In many regards, other than the twitch of my left eye, I should be thanking my brother and his ugly pre-pubescent nature for inadvertently providing me access to Gough, whose attributes as a fast bowler were aligned to both my physical and my mental characteristics. I don't possess the type of physique that makes other men feel inferior when I take off my shirt. I do, however, have fast-twitch muscle fibres, the most important element for getting the ball above the 135kph mark. My run-up was fast and I delivered the ball, every time, with absolutely everything that I had. Sound familiar? There weren't many fast bowlers who could deliver their first ball of the day at the same pace with which they delivered their last. Gough had the physical strength and mental toughness to give all of himself to every delivery he bowled, in every game, across every format. He embraced pain. There was no point in breaking your body if you couldn't have some fun along the way, and embarrassing batsmen in front of an oval full of people was always a favourite for Gough. There aren't many jobs that come with the freedom to openly taunt people and this was an area of the game that I too connected with. A little after Shane Watson had been spooked at Lumley Castle, sleeping on the floor in a team-mate's room for fear of ghosts lurking under his bed, Gough came up with one of the great send-offs: imitating a ghost and offering up a spot in his own bed. Gough was scared of nobody. Not ghosts, not players bigger than him, and definitely not the big moments. He relished, and often prospered, in the challenge to be the one to break a big partnership, dismantle a top order or rip the heart out of the tail with his trademark yorker - which rivals Waqar Younis' as the best I have seen. 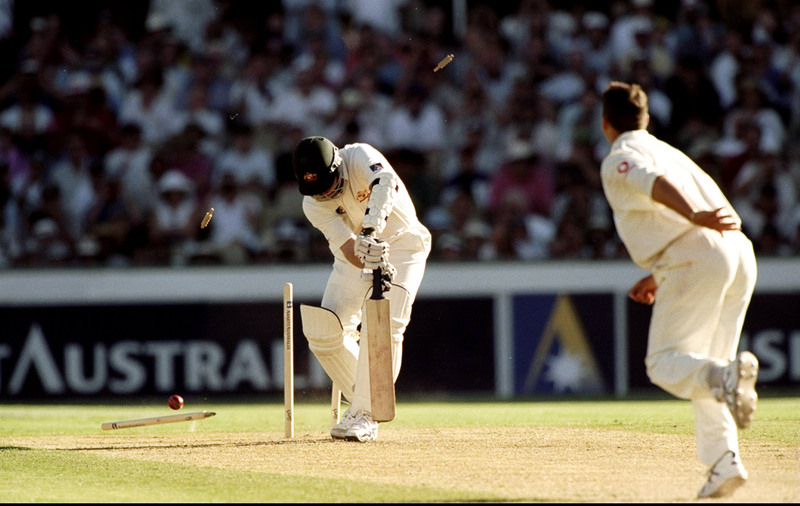 To see him take a hat-trick against Australia at the SCG in 1999 was an awkward experience. My father is a passionate Australian fan and it's not like I could cheer Gough on in front of him and my brother, who would have, well, kicked me in the shins. Australia were cruising at 319 for 5 when Dean Headley removed Mark Waugh for 121. A lifting delivery from a length caught Ian Healy's glove and lobbed up to the keeper. I smiled. Stuart McGill, no match for the trademark inswinging yorker, had his middle stump obliterated. I gave myself an internal high five. Then Gough delivered a remarkable outswinger, with an old ball that was reverse-swinging, it beat the outside edge of Colin Miller's bat and collected off stump. I had to leave the room as I could no longer hold in my excitement. To this day my father and brother don't know that I modelled my technique and approach to fast bowling on a Pom, and that without those backyard beatings I wouldn't have stumbled across the perfect example of fast bowling for my body and personality. 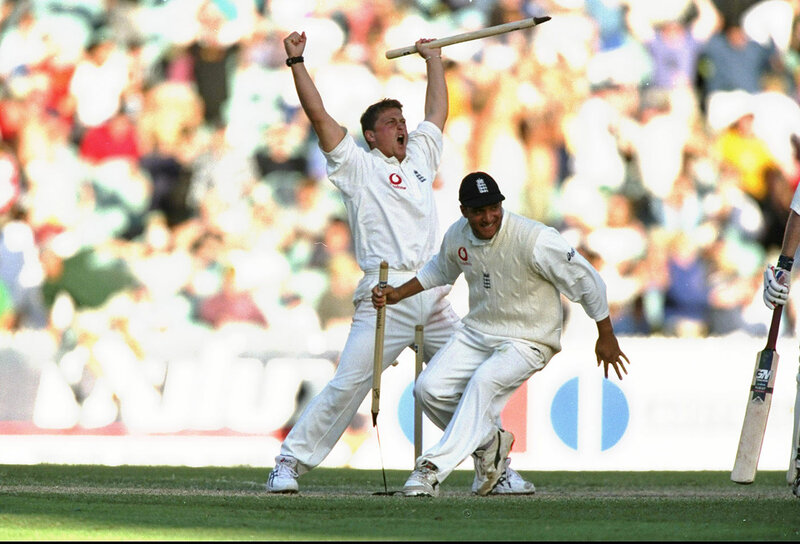 Though I hate my brother and England, I love Darren Gough. He made me believe that there was a future for short guys with big bums.